Many engineers have already been convinced, but we’re still waiting to see this new technology on a production car. 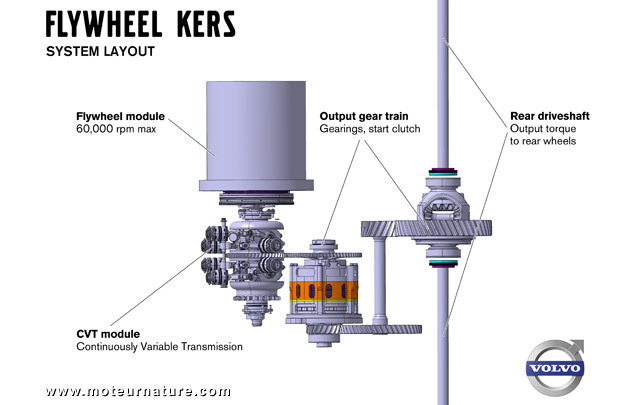 It’s not really new, it’s kinetic energy recovery, where energy is stored in a very fast spinning disc: a flywheel. When the car slows down, some energy is sent to the flywheel, and when the car gets back to speed, that energy is sent back to the wheels, helping the car gaining speed. 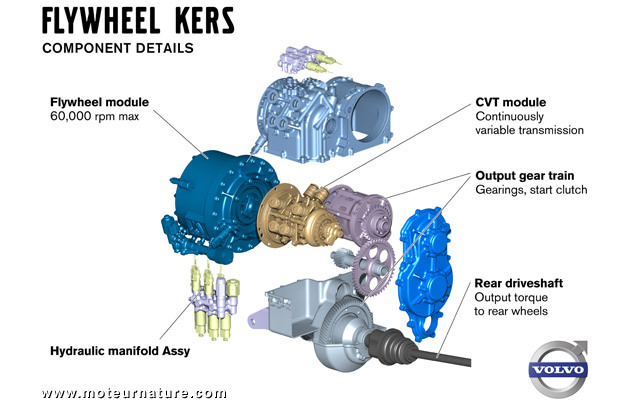 A CVT (Continuously Variable Transmission) makes sure the operation is smooth. Volvo’s disc has an 8 inches diameter, and it spins up to 60,000 RPM. 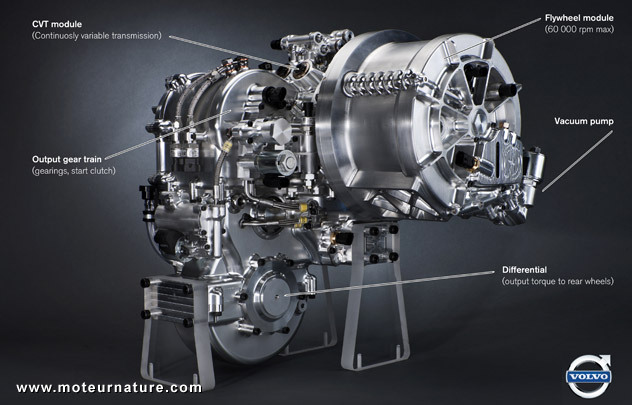 The manufacturer says it adds up to 80 hp, allowing a four cylinder car fitted with this system to deliver the same performance as a six cylinder, with fuel consumption reduced by a quarter. Sounds good! Volvo is currently evaluating how its production models could receive this system, let’s hope it will come soon.